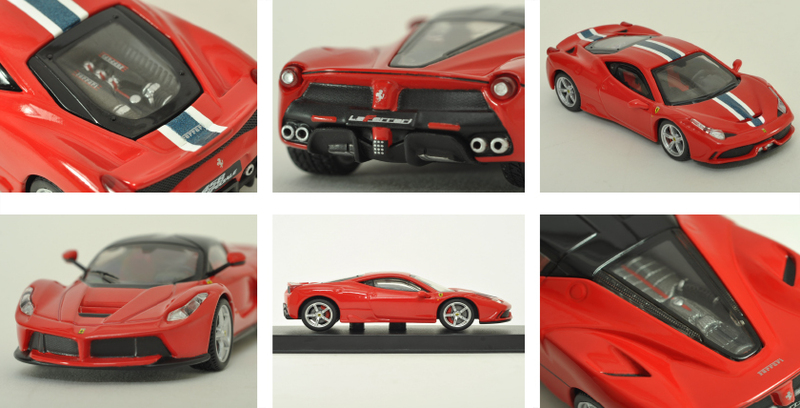 Fontana (July 2015)— The May Cheong Group (MCG), manufacturers of the famous die-cast and radio control replica brands Maisto and Bburago, have released additional details as well as photos of the company’s 1:43 scale Ferrari Signature Series line. Bburago elaborated on both the 1:43 scale 458 Speciale and La Ferrari with photos highlighting new features. Bburago issued a list of over 10 different enhancements to the Signature Series Ferrari 458 Speciale and La Ferrari from their already highly‐detailed Race & Play line. While some of the details might be a little more subtle and harder to spot than others, Bburago took the time to add even more detail to these iconic vehicles along with storing them neatly in a clear casing with a decorative sleeve for those that like to keep things immaculate. Further details are highlighted in the photos below and the accompanying page.